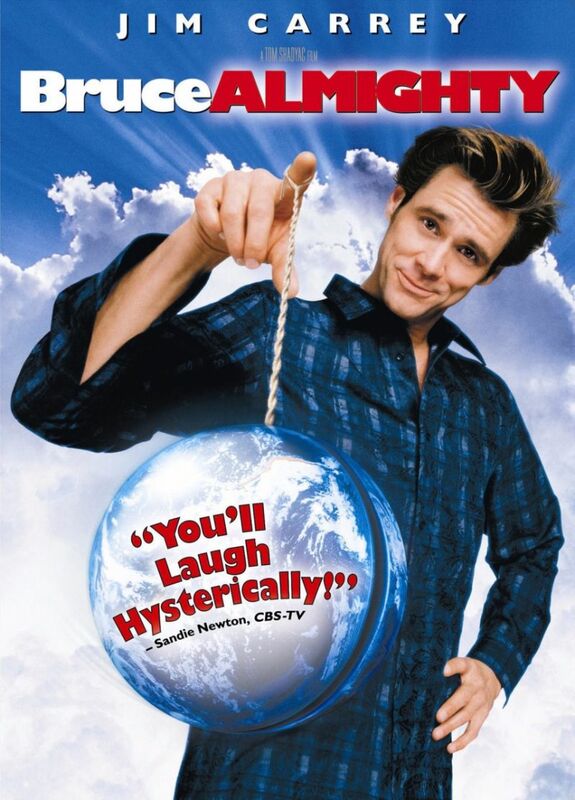 Bruce Almighty is a 2003 American high-concept comedy film directed by Tom Shadyac. The film tells the story of Bruce Nolan, a down-on-his-luck TV reporter who complains to God that he is not doing his job correctly, and is offered the chance to try being God himself for one week. The font used for the film title in the poster is Gill Sans Ultra Bold. Gill Sans is a sans-serif typeface designed by Eric Gill and released by the British branch of Monotype in 1928. Gill Sans Ultra Bold is an extremely bold design from the Gill Sans font family, though in practice many letters vary considerably from the structure of Gill Sans. In addition to Bruce Almighty (film), Gill Sans typeface is also used in the following logos, movie posters or album covers etc., including: Great Clips Logo, 13 Reasons Why, Toy Story, Alvin and the Chipmunks, Wet Seal, When in Rome, Dodgeball, The King’s Speech, Rookie of the Year, Martin, Gravity Rush (Video Game), Me, Myself & Irene, Tokyo Stock Exchange, AMD, Magnum Force.